For all your hydronics parts needs. 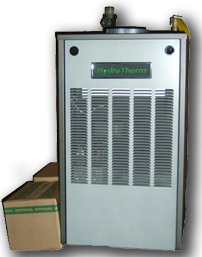 We specialize in all hydronic parts. While homeowners are attracted to the Sabre's exterior, contractors will find the technology on the inside a thing of beauty as well. Inside the brushed stainless steel jacket is a proven horizontal cast iron section design that provides maximum heat transfer, lower operating costs and quiet dependable performance. With models available from 65,000 to 165,000 BTU's, there is a Sabre boiler to handle virtually any residential application. A.G.A. Input Heat Cap. A.G.A. Input Heat Cap. All parts are hand crafted, assembled and tested in our Pompton Plains facility.